Birmingham have issued a warning over their finances despite announcing half-year profits and returning to the Premiership after just one season away. The Blues posted a £3.4m pre-tax profit for the six months ending in February, after being relegated in summer 2006. 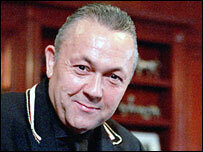 Plc Chairman David Sullivan warned the club is likely to make an overall loss in the remainder of the financial year. He said: "Relegation substantially affected turnover, despite the measure taken to reduce costs." Birmingham's books were balanced by the sale of players, which helped them into half-year profit. Sullivan said: "The consequent trading losses were offset by gains from the sale of David Dunn to Blackburn and Matthew Upson to West Ham, leaving a profit on ordinary activities of £3.4m." The Blues' return to the top flight will provide a cash injection of £30m which is likely to offset the expected loss on the year. Sullivan said: "Promotion will mean a minimum direct contribution of £30m from the Premier League, together with wider positive effects in attendance and commercial revenue. "This should significantly improve trading levels but the effect will largely not show through until the next financial year." Birmingham gave boss Steve Bruce the biggest transfer budget in the division as they attempted to return to the Premiership, and it worked as they finished runners-up to Sunderland. But Sullivan warned the club would not be held to ransom on transfer fees and wages. He said: "We're mindful of the risks for newly-promoted clubs of relegation and will continue our strategy of protecting the club from an unrealistic and unaffordable wage bill. "But it is our intention to invest heavily in the playing squad, but we will focus on young, hungry and passionate professionals who want to make a significant contribution to the success of the club. "In the competitive world of football where many clubs chase the same players, what becomes important is not how much money is spent, but how well it is spent."